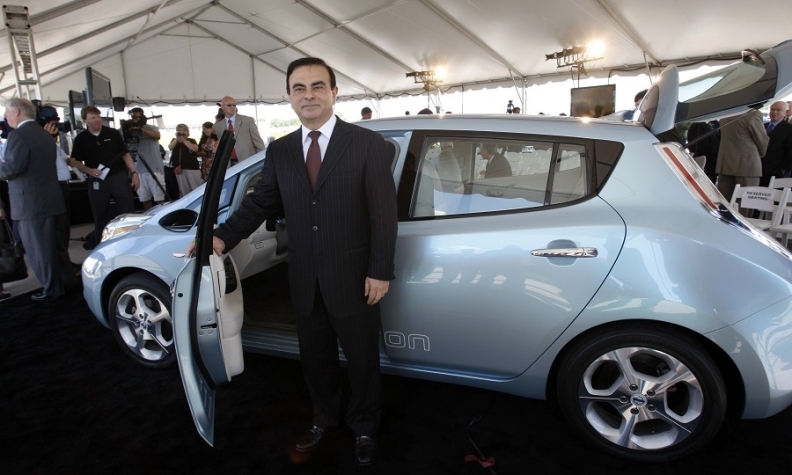 Ghosn is pictured with the Leaf, the best-selling electric car to date, with cumulative sales approaching 355,000 units through the third quarter. For almost a decade, Ghosn’s $5 billion plan clicked with drivers as the Leaf became the best-selling EV model globally. His commitment while overseeing Nissan and its alliance partner Renault helped spawn a wave of competing models from traditional automakers in Detroit, China and Europe, as well as startups like Tesla. At a Nov. 30 event to promote Nissan’s participation in Formula E electric-car racing, Roel de Vries, a corporate vice president, declined to comment on Ghosn but stressed the commitment to EVs. “This is a long-term effort by the whole company,” he said. One of his big challenges will be in China, the world’s largest EV market, where the Leaf is an insignificant name amid Tesla and a glut of domestic EVs from BAIC Motor Corp., BYD Co. and Chery Automobile, along with startups NIO Inc. and Byton.